Maxgear’s consistency during the Revolution track series was rewarded as they took the team championship prize at the season finale on Saturday in Manchester. Another sell-out Revolution crowd were assured of an exciting night of racing with Team Sky, Maxgear and Le Col all in contention for the overall victory. European under-23 time trial champion Alex Dowsett aided Team Sky to victory in the opening team elimination ahead of the Chep and Maxgear squads. 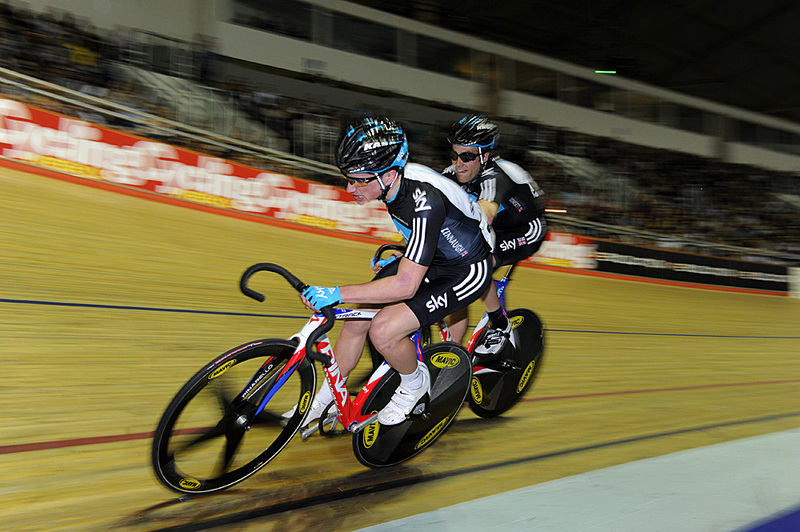 A win in the team points race then followed for the Commonwealth Games silver medallist. 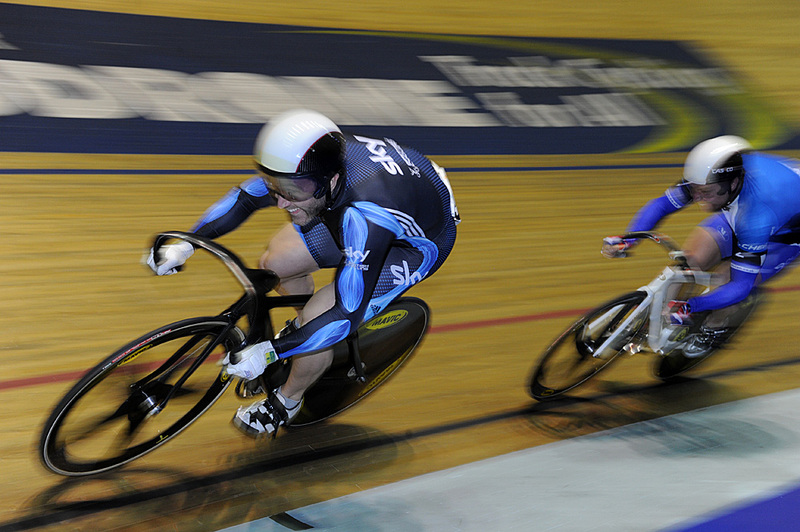 Olympic champion Ed Clancy and Andy Tennant took the crowd-pleasing 1km madison time trial in a superb time of 57.144 seconds. 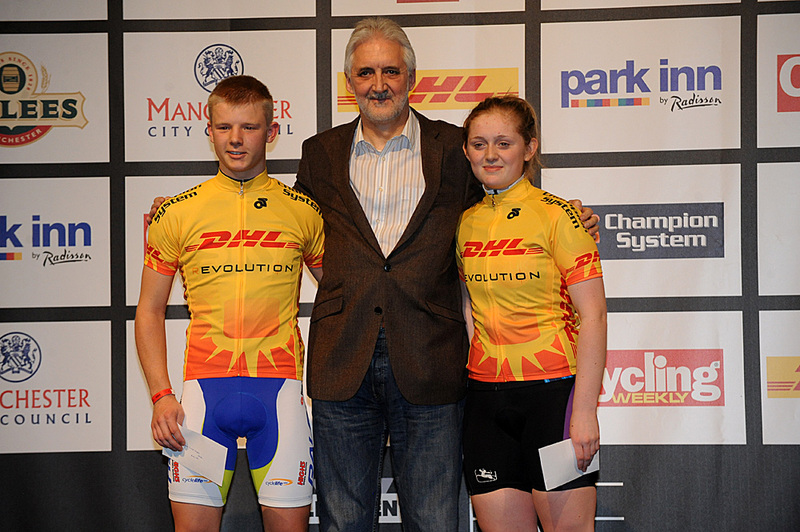 The former Motorpoint duo were making their racing debut in Rapha Condor Sharp colours. 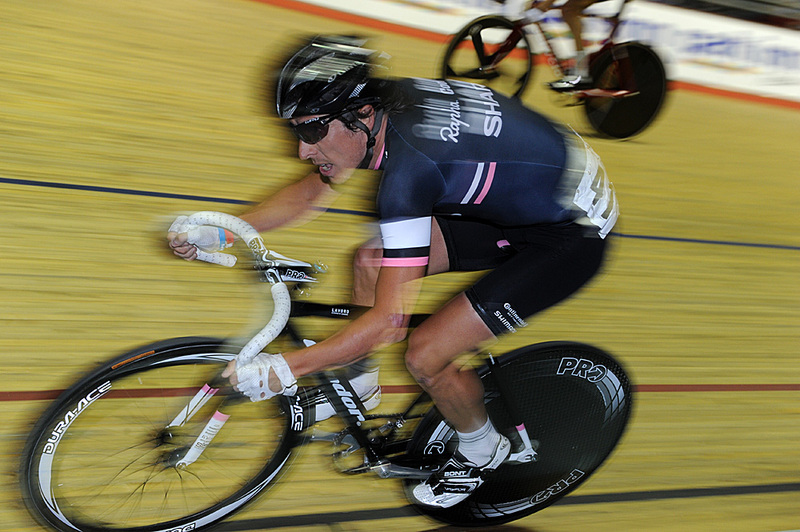 Luke Rowe, in flying form after retaining his national madison title earlier in the day, claimed victory for the Revolution Allstars with a carefully measured performance in the Australian pursuit. 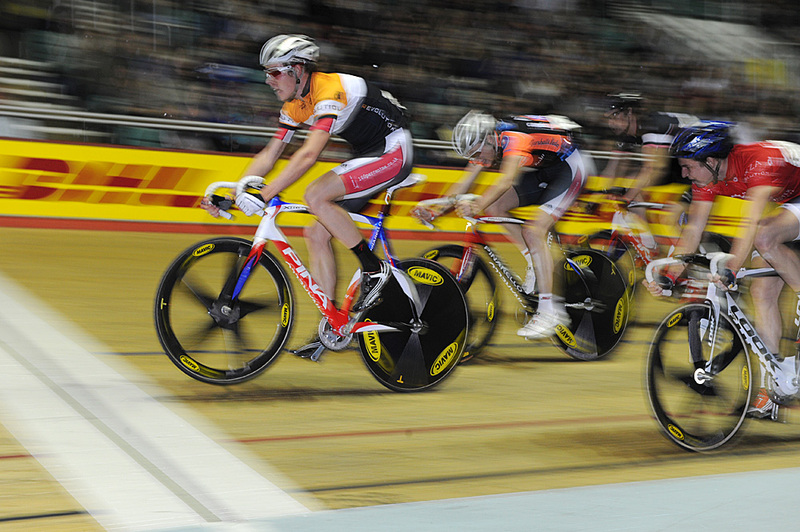 This event sees riders start off at intervals around the track, pacing their pursuit of the rider in front whilst also trying to avoid being caught. Olympic Academy rider Tom Moses of the Revolution Allstars beat Mark Christian and Claudio Imhof in the 10km scratch race and sprinter David Daniell took victory in the keirin. Scotland’s Ross Edgar of Team Sky overhauled compatriot and 2012 Paralympic pilot hopeful Craig MacLean over two legs of the match sprint final. Olympic keirin silver medallist Edgar then anchored Pete Mitchell and Philip Hindes to victory in the night’s closing team sprint ahead of the International trio comprising youngster Kian Emadi, Roy van den berg and MacLean. Motorpoint’s Emily Kay underlined her promise with overall victory in the Future Stars girl’s competition, with Sam Lowe of Team Sky securing the boys’ series.